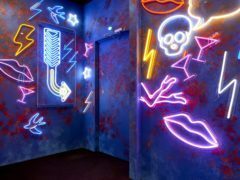 The Celebrity Big Brother housemates will enter the diary room tonight to give their first eviction nominations of the series, with one set to receive a pardon from house president Kirstie Alley. Stormy Daniels has said she wanted to apologise to viewers for not appearing on Celebrity Big Brother, but was blocked from doing so. Celebrity Big Brother has denied its producers tried to control adult film star Stormy Daniels, who pulled out of appearing on the reality show five hours before its live launch. The new crop of housemates for Celebrity Big Brother includes a glamour model, Hollywood star, UK soap stars and an English footballer who has made his fair share of headlines. Celebrity Big Brother is set to return to Channel 5 tonight with the Duchess of Sussex’s half-sister Samantha Markle among the famous faces hotly tipped to enter the house. The new series of Celebrity Big Brother will get under way as the identities of the housemates are revealed at the reality show’s launch. The situation regarding Celebrity Big Brother “remains unchanged” and there is “no update on future series beyond 2018”, Channel 5 has said following reports that the next series would be the last for the broadcaster. 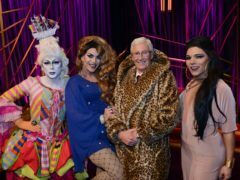 Drag queens will appear as Blind Date contestants for the first time in a special edition of thedating show. The upcoming series of Celebrity Big Brother will have an Eye of The Storm theme, Channel 5 has announced. 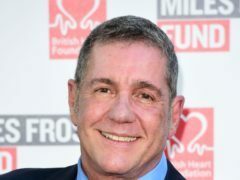 Devastated fans took to Twitter to share their sadness after watching Dale Winton’s posthumous return to television. The director of a Channel 5 documentary featuring excerpts of politician Enoch Powell’s infamous “rivers of blood” speech says it is important not to “run away from our history”. 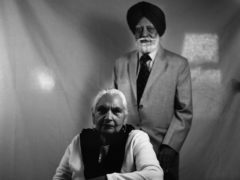 Channel 5 will be exploring personal stories of what it means to be black or Asian in Britain today on the 50th anniversary of Enoch Powell’s infamous “rivers of blood” speech. 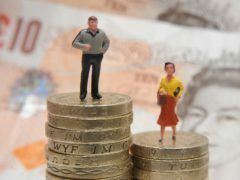 Channel 5 has announced it has a median gender pay gap of 2%, the lowest of all the broadcasters. 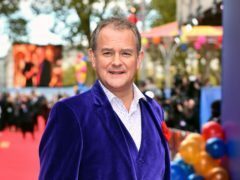 Hugh Bonneville is to lend his voice to one of two new UK-based wildlife series announced by Channel 5. 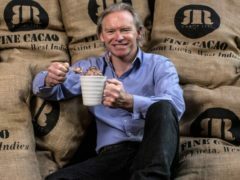 Viewers will go behind the scenes of Hotel Chocolat in one of three new Channel 5 commissions from BBC Studios. Eamonn Holmes and Ruth Langsford will front new Channel 5 prime time consumer entertainment show Do The Right Thing. 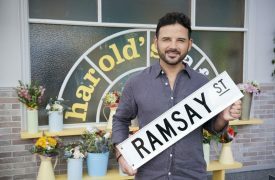 Former Coronation Street star Ryan Thomas will make his Neighbours debut in a dramatic late night episode next month. 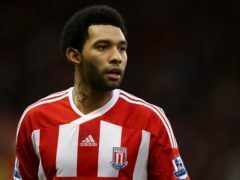 Jonny Mitchell will be seen celebrating avoiding eviction from the Celebrity Big Brother house on Saturday night’s show. 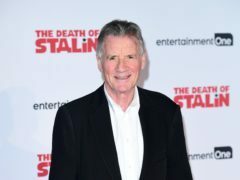 Celebrity Big Brother viewers are not impressed with new housemate Daniel O’Reilly following his comments about both Jess Impiazzi and the female Big Brother voice. Tensions are beginning to mount in the Celebrity Big Brother House after India Willoughby spoke up about her feelings towards Ann Widdecombe and new housemate Courtney Act. It looks like an unlikely friendship could be on the cards in the Celebrity Big Brother house as former MP Ann Widdecombe and Love Island’s Jonny Mitchell find common ground with their views on feminism. The return of Will & Grace saw Channel 5 more than double its audience numbers for its slot when the hit US sitcom resumed after an 11-year break. Malika Haqq won immunity from the first Celebrity Big Brother eviction after an impressive axe-throwing performance. 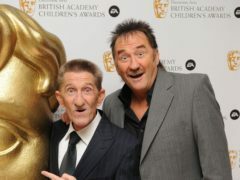 Celebrity Big Brother star India Willoughby used the analogy of a visit to the dentist as she shared the details of her gender reassignment with the housemates. TV viewers have tipped former detective constable Maggie Oliver to win this year’s Celebrity Big Brother following the 2018 series launch. India Willoughby compared herself to Doctor Who as she stepped into the Celebrity Big Brother house. Former MP Ann Widdecombe said she would “prefer a few men around the place” as she became the first contestant to enter the all-female Celebrity Big Brother house. Eight women have welcomed the new year by entering the Celebrity Big Brother house in an all-female special series launch.